Is your guild or association holding an event? Do you want to promote it to a broader group of prospective attendees in your city, province/state, and across the country? Your solution is the EVENT PACKAGE from A Needle Pulling Thread Magazine. Up to 50% savings on all your printing needs for the event (flyers, brochures, booklets, etc; we ship across Canada and the USA). Check out our low prices at www.ANPTprint.com or call/email us for a quote. The price of the package? Only $60 ! (plus applicable taxes). Order NOW! The sooner you start promoting, the more people you’ll reach. This is the published contact email/phone/website for further information about the event. Enter a short description up to 250 characters. This will appear in your print and online listings. Enter full details. No character limit. This will appear in your online listing. This will appear in your online listing. One image, JPG/GIF/PNG format, recommended size 318 x 179 pixels, maximum 200 Kb. These will appear in your online listing. Maximum 3 images, JPG/GIF/PNG format, recommended size 318 x 179 pixels, maximum 200 Kb each. Please indicate if you have any further instructions. This will not appear in your listing. 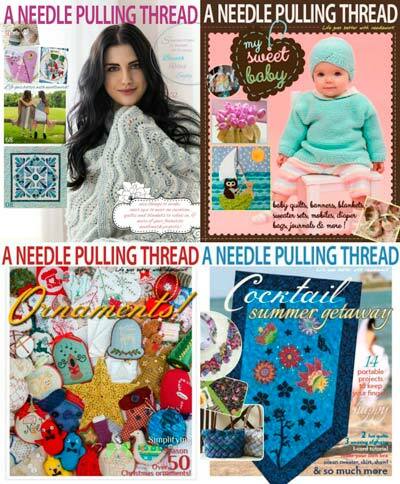 The support and advertising of A Needle Pulling Thread has been been a great help in supporting and promoting our event.